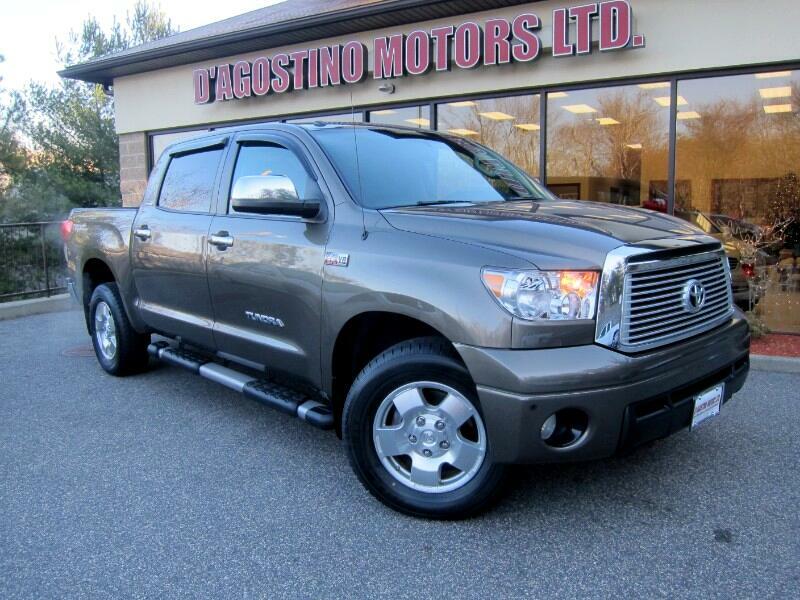 Used 2012 Toyota Tundra Limited 5.7L CrewMax 4WD for Sale in Smithfield RI 02917 D'Agostino Motors Ltd.
NEW ARRIVAL !!! THIS TUNDRA HAS A LOOK !!! A VERY SHARP LOOK !!! THE PRICE IS ALSO VERY ATTRACTIVE !!! THE TUNDRA OFFERS A LOT OF SPACE,HEAD ROOM , LEG ROOM AND PLENTY OF CARGO SPACE !!! IT ALSO OFFERS PLENTY OF POWER AND HAULING CAPABILITIES !!! This One Comes with Power Heated Leather Seats , Power Sunroof , JBL Premium Audio System , Bluetooth Phone Connectivity , Back Up Camera , Multi Function Steering Wheel , Power Rear Sliding Window , Tow Package , Privacy Glass , Brand New Tires , Running Boards , 18'' Alloy Wheels ,Power Windows , Power Door Locks , Power Mirrors , Power Seats , Bed Liner , TRD Off Road. Come Experience the D'Agostino Difference! We Go Through our Vehicles with a Fine Tooth Comb from All Mechanical Aspects to an Extensive Reconditioning and Detailing Process, Expect to View the Cleanest Vehicles in New England Guaranteed !! !